Kathy Ann Walker, 62 yrs. 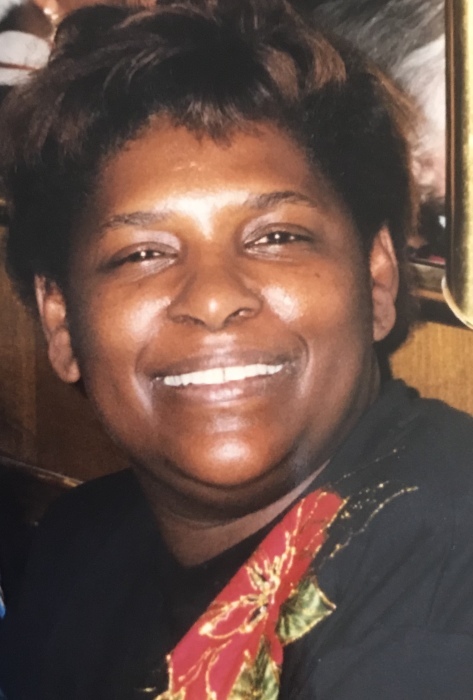 of age, of Houston, Texas passed away on November 23, 2018 in New Orleans, Louisiana. Kathy was born on November 10, 1956 to James and Annie Walker in Houston, Texas. Kathy gave her life to Christ at an early age and was baptized at East Macedonia Bptist Church. Kathy attended Evan E. Worthing High School, where she received her High School Diploma. Before she transitioned, Kathy worked in the Home Health Care Industry. Kathy had a very happy loving and giving spirit and would give you her last. Kathy's smile would light an entire room and her laughter would often leave a smile on everyone's face. She loved her sons, grandkids, family and friends. Kathy precedes in death her parents James and Annie Walker. Two brother in laws; Edward Berry and Michael Parrish and two nephews; Robert Walker and Archie Moore. Five grandchildren: Steven, Marquis, Cadynce and Cadon Riggins, one additional grandchild and one great grandchild. Four siblings: Laura Berry (Edward), Johnny Walker (Diane), Kenneth Walker (Lisa), Greta Parrish (Michael) along with a host of relatives and friends. Services for Kathy will be held on Saturday, December 1, 2018 at Unity Funeral Home, 7730 Boone Rd., Houston, Texas 77072. Visitation from 9:00 A.M. until 11:00 A.M., ceremony at 11:00 A.M.